Given their innate curiosity and love of playing, it’s not uncommon for even well-behaved dogs to end up having scrapes and bruises every now and then, leaving Manuka honey stocks running low. Whether it’s from digging holes in the yard, rough play, or chasing something small and furry in the underbrush, it’s safe to call eye injuries par for the course when it comes to dogs. Since they’re often caused by trauma, eye injuries typically necessitate immediate care by a veterinarian. For dog owners, it’s in their pet’s best interests to be aware of various eye injuries that may occur and how they should respond. It’s important to seek vet attention immediately if any of the above symptoms appear. If you’re not sure if it’s an emergency, contact your vet for a consult, and don’t try home care unless told otherwise by the professional. Eye issues can be more painful than they appear, so don’t wait for the problem to get worse before making an appointment. 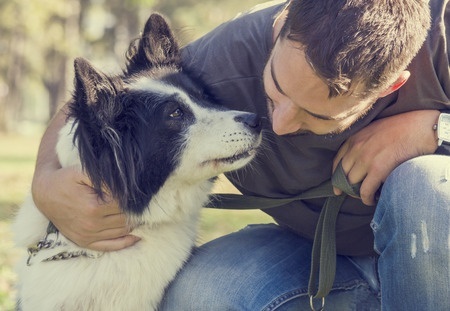 For dogs, eye injuries occur if something causes damage upon making contact, such as cat claws, dog bites, kicks by horses, insect bites, tree branches, or even dirt. A dog hanging his head out a car window could have debris blow into his eyes and experience irritation as well as when chemicals are sprayed on or near the animal. Corneal ulcers, which could be from debris, chemicals, or the result of the dog rubbing his eyes. Corneal laceration, which is a scratch or cut on the eye’s surface. Eyelid tear from the eye catching on something. Puncture, sometimes from a claw, tooth, or other foreign object. Proptosis, which is when the eye has popped from its socket (more commonly seen in Shih Tzus or Pugs). When you suspect your dog has an eye injury, remember to call your vet immediately and hold off on treating the injury yourself unless the vet okays it. If dog owners must provide first aid, it’s likely only for flushing the eye out or applying a cool compress (and only when the vet recommends it). Since eye injuries are so painful, it’s crucial that dog owners be gentle when doing this and have someone else be there to help. When flushing out your dog’s eye, only use sterile saline eyewash solution (not contact lens solution) and try choosing an area like a patio or bathroom you don’t mind getting wet. Wrap the dog with a towel and have a second person hold the animal, with an arm wrapped around the dog’s body and the other gently around the head. Using one hand to hold the eye open, use the other to apply a steady stream of eye wash, catching falling saline with a cloth or small towel. Once you and your dog have gone to the vet’s office to check the injury, the staff will ask about the dog’s medical history and how he got his injury before following up with the vet’s exam. After a few eye tests, the vet should be able to recommend the next phase of treatment, which may be simple eye medication and a follow-up exam or something more serious like surgery. If the injury has advanced far enough, the vet might refer you to a veterinary ophthalmologist. With some very severe eye injuries, it may be necessary to remove the eye altogether, saving the dog but leaving him blind. If your dog fortunately only needs medication, give precisely as prescribed. If using ointment, drops, or both, give him the drops and then the ointment. Also, remember not to postpone or skip follow-up appointments and keep monitoring the injury in the weeks afterward in case it worsens at all.